Lawrence (Don Lifted) Matthews is a multi-disciplinary creative with connections reaching deep into the Memphis art scene. Born in Memphis, His work ranges from oil paintings, collage, photography, and ready-made sculpture, to music and film. 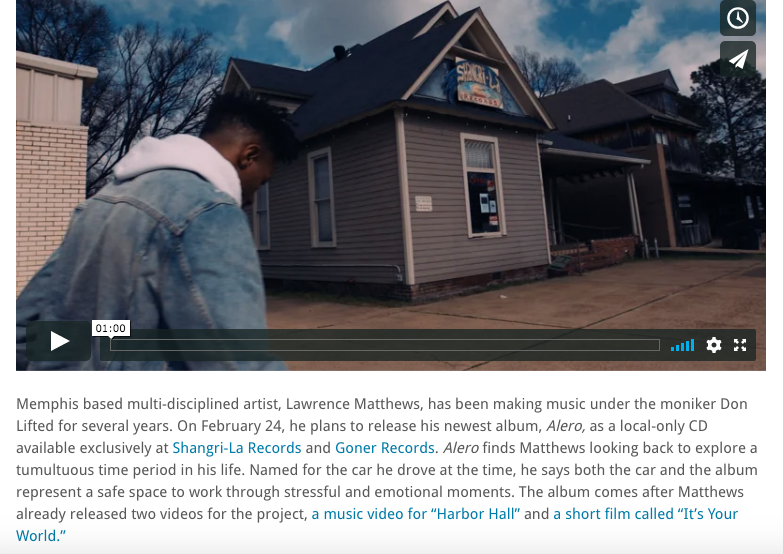 Matthews’ musical style incorporates hip-hop, alternative rock and electronic music resulting in emotionally vulnerable storytelling and eclectic production. 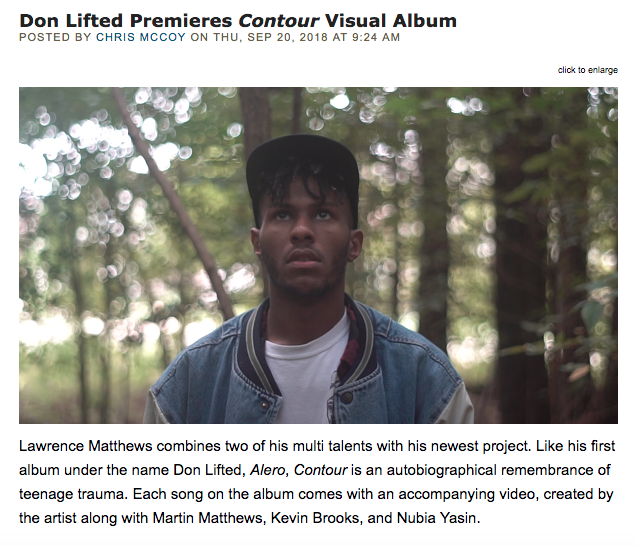 Contour by Don Lifted (2018) via spotify, apple music and tidal. Alero by Don Lifted (2017) via spotify, apple music and tidal. The autobiographical Alero mixes chillwave synths with twisted and chopped samples. Don's verses are quick and staccato, sounding sometimes as if the ideas and memories are coming too fast for him to keep up. 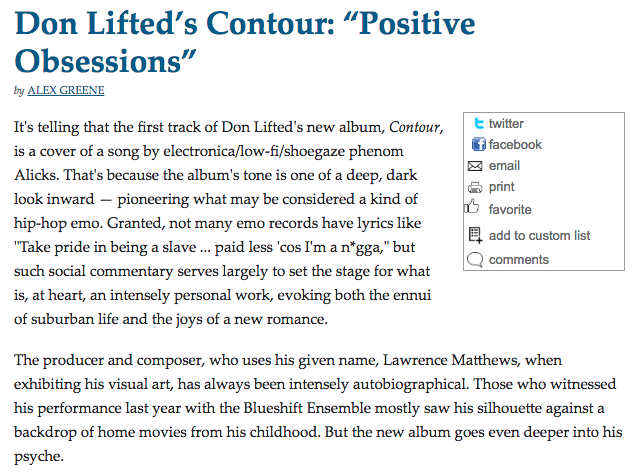 Don Lifted is known for his emotionally vulnerable, visually and musically eclectic performances. 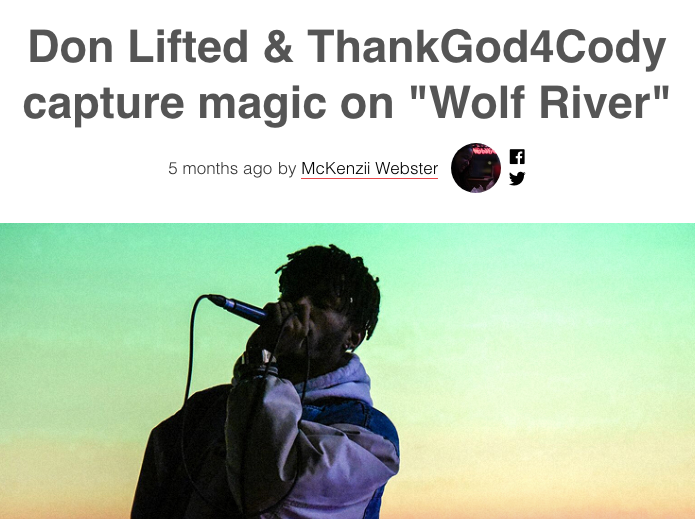 don gained his core fanbase by creating expansive visual installations to transform alternative spaces into the worlds which exist within his music and lyrics. while creating short films and video based sculptures don allows the listeners to follow his narrative through confessional lyricism and therapeutic honesty. 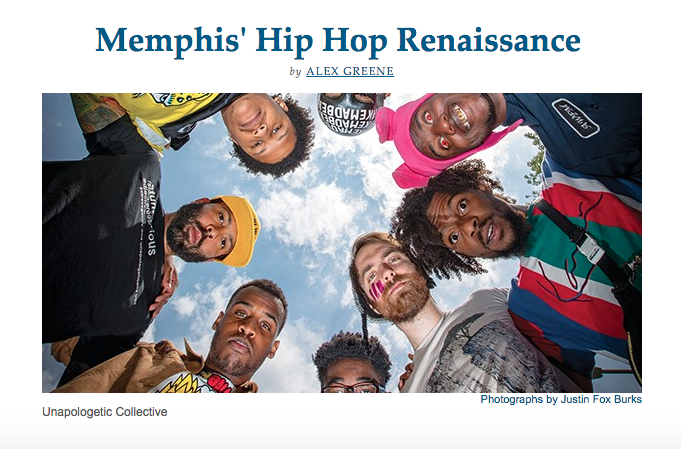 Mostly Memphis based publications but hopefully through this tour more national press can be accumulated.